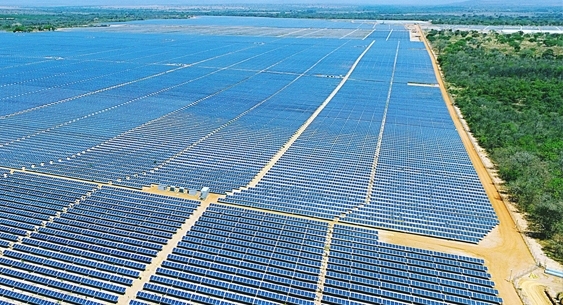 PV modules provider Canadian Solar and French energy company EDF Energies Nouvelles (EDF EN) have commissioned two solar plants, which have a combined capacity of 284MW, in Brazil. The two solar plants, the 191.5MW Pirapora I and 92.5MW Pirapora III, are located in the State of Minas Gerais. Each plant has secured 20 year power purchase agreement (PPA) with Power Commercialisation Chamber (CCEE), after the second and the first Reserve Energy Auctions conducted in 2015 and 2014, respectively. The Pirapora I plant and Pirapora III plant include 600,000 and 290,000 of Canadian Solar’s CS6U-P solar modules, respectively. While Pirapora I plant has the capaity to generate 392GWh clean solar electricity annually, the Pirapora III plant can produce 186GWh per year. The solar panels used at the two plants are claimed to have been manufactured locally by Canadian Solar. The clean energy produced from the plants is expected to contribute significantly to Brazil’s aim to generate 23% of its energy from non-hydro renewable sources by 2030. Canadian Solar chairman and CEO Shawn Qu said: “We are pleased to announce the commissionings of the Pirapora I and III projects, which are the first solar projects we have connected to the grid in Brazil. We see strong potential in the solar energy market in Brazil and will continue to grow our project pipeline in the country to meet the local demand for clean and affordable solar energy. “EDF EN is an important partner and we look forward to continuing our successful partnership with more opportunities in Brazil and other countries." Pirapora project is a 399MW project, consisting of three phases of solar plants including Pirapora I, Pirapora II and Pirapora III. Pirapora II is yet to be commissioned. EDF Energies Nouvelles owns an 80% stake in the Pirapora project, while the remaining 20% stake is held by Canadian Solar. EDF Energies Nouvelles chairman and CEO and EDF Group renewable energies senior executive vice president Antoine Cahuzac said: "These new commissionings constitute further evidence of our growth ambitions in Brazil, a key renewable energy market for the EDF Group. “It represents a new step toward the EDF Group's goal of doubling its renewable capacity in France, and worldwide, by 2030 under its CAP 2030 company plan." Image: Pirapora I and III projects totalling 284MW are now online. Photo: Courtesy of EDF Energies Nouvelles.